Beginner’s Guide: Is your franchise business subject to corporate franchise tax? This article expounds on everything you need to know about the franchise tax. Franchises classified as an LLC, corporation or a partnership, may be subjected to corporate franchise tax. This is a special kind of tax that’s usually imposed by several states on certain franchise businesses. It’s often assessed on these businesses on the account of either incorporating or doing business in the state in question. Income vs. Franchise Taxes - What’s the Difference? There are usually two major tax kinds that franchise owners are required to pay. The first would be the franchise, and the other is the run of the mill federal/state income. Both are usually assessed on a yearly basis, and if you fail to remit, your business risk being delisted from doing business in the said state. Of course, there are some fundamental differences. Corporate income taxes are usually paid based on your net income or profits. That means that if you don’t make a profit, you have no corporate income liability. On the flip side, franchise taxes aren’t assessed based on net income. Remember this is unavoidable and you have to remit regardless of whether you made a profit or not. A franchise tax is usually assessed by the state where you are doing business or where you incorporated the franchise business. This is what’s a called “privilege fee” that you pay a particular state or city for incorporating or operating your business there. As a rule of thumb, only businesses registered as corporations have to deal with corporate income taxes. What that means is that partnerships, LLCs, and sole proprietorships don’t pay federal income taxes. Instead, the proceeds are passed on to the owner who will pay as part of their personal income taxes. It all comes down to the size and type of your franchise, the state your business is incorporated in, and other key franchising factors. Your company’s franchise can be structured differently depending on these factors. The most common one is a simple flat fee that’s assessed on your business annually. The tax can also be a fee that changes based on the net worth of your franchise. Some states will calculate your franchise tax based on the amount of business that your franchise carries out in the said state or your gross receipts. Who is Supposed to Pay? Partnerships, LLCs, and corporations that do business in a given state are required to pay corporate franchise tax. This may also apply to corporates that aren’t incorporated in the state but earn income from there. In legal terms, it is said that you have a nexus in a particular state. Which States are Franchise Tax Applicable? Today, there are a total of fourteen states that administer franchise taxes - namely, Texas, Tennessee, Pennsylvania, Oklahoma, North Carolina, New York, Missouri, Louisiana, Illinois, Georgia, Delaware, Arkansas, and Alabama. Perhaps the most prominent states for corporate franchise tax are Texas and Delaware. How are Franchise Taxes Assessed by States? 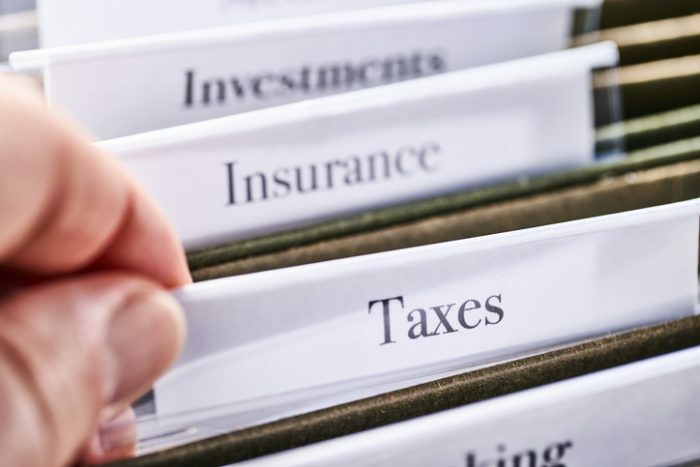 Each and every state has its own set of criteria for deciding which type of franchises are needed to remit franchise taxes, and how they will be taxed. However, there two most common criteria: (1) your company’s number of stock shares, the par value of the stock or the value capital stock, and (2) your franchise’s income tax (which means that the corporate is essentially like your corporate income tax). All corporations and limited liability companies classified as C-Corporations under IRS Code are subject to franchise tax. So, how are they taxed differently from S corps? C-Corporations pay franchise tax as individual income tax based on the profits shown by the franchise. They are pay tax as a corporate entity for net income that’s earned. That is a resounding, YES - there are several credits that apply to the corporate franchise tax. Your taxes can be essentially reduced by these credits that vary from state to state. In Minnesota, for instance; your franchise can take advantage of credits for an array of things like Jobs credit under JOBZ program, R & D, rehabilitating a historic structure, and so forth. Director of Marketing at Franchise.com & Franchise Solutions. Experienced at lead generation & project management. Mama of 2, wife, runner, gardener, living just outside of Portsmouth, NH.